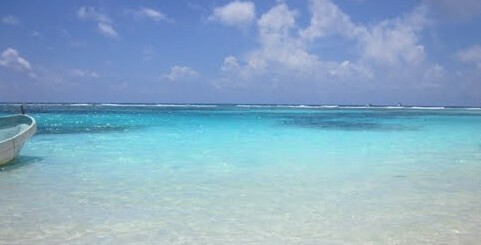 ← Looking For Where To Go In Costa Maya? Be Sure To Also Look Where Not To Go! We are now about 1/3 of the way through our low season here in the Costa Maya, and given it has taken this long for me to start whining about how slow it is, it must not be that slow! Each of the last 2 seasons, our Costa Maya summer low-season cruise ship load has gradually gone up, and this year, we are doing more summer ships than ever before. These days, our hotels are finally beginning to fill on dates other than holidays as well, giving us finally the makings of a pretty good low season. Just 4 years ago, we were doing only 2-4 ships a month in the low season. That, combined with the low hotel occupancy’s that go with a new area, and the loooooong rainy season, and yes, our low season was really low. However, about 3 years ago, the port opened a new water park, and at the same time, brought in a professional tourism management company to run the port, and the business climate began to change. With this change, came the rise we’ve seen in summer cruise ships. Our biggest problem with bringing summer ships in to Costa Maya, is nothing we can do much about. It is the weather. Summer is rainy/storm season in the tropical Atlantic and cruise lines hate tropical storms. Diversions at the last minute cost them huge profits because of canceled excursions, docking fees and such. Most companies move 2/3 rds to 3/4th of their fleet to more friendly climates for the summer. Alaska, Europe and Northern Atlantic locations, all have cooler climates that give the cruise lines the good and consistent weather they need to be profitable. For us that rely mainly on cruise ships for volume tourist though, it is low profit and hard work time. The new port managers brought in a more cruise line friendly way of doing business, and combined with a few new, larger, profitable excursions for the cruise lines, like the water park, and this began to bring in more and larger summer ships. Not all the ships leave in low season, so the objetive of cruise ports is to try to make your destination attractive, and profitable enough, for the lines to choose your port as a summer stop. Cruise lines put their schedules out for bid, and ports have to put together complicated bid packages that can attract ships, and still be profitable for the port owners. In low season, there are fewer ships, so fewer bids, making the process much more competitive and difficult. Given our rise in ship volume, the new managers seem to have managed to do just that. This year we are doing between 22-25 ships a month and working a 2-day week, alternately with a 4-day week, all summer. And the nice thing for us, is that almost all our ships this year are large, and put lots of tourists into the local businesses. It is not close to the 60 plus a month we had last high season, but still much more that just a couple years ago. Royal Caribbean, Celebrity, Carnival, Norwegian, Holland America, Princess and MSC are all here this summer. RCL Allure of The Seas, one of the largest in the world, visits every 2 weeks now. As the years have passed, the discovery of our little hidden hotel destination has been such, that these days, our limited number of rooms is beginning to fill more often. A few more seasonal property owners and full time ex-pats as well these days, and all combined with the extra ships, have made the local low season business environment, the best we’ve ever seen. With the expansion of the port’s dock to double in size for the 2019-20 high season, going from 3 ship max to 6, it looks like the bad old days of low season are behind us now. With a little luck, maybe next year I won’t have enough time to get caught up on ALL the chores I can’t usually get done in busy high season. Or at least I’ll have a better excuse for not getting them all done anyway! Thanks for reading guys and hurry down to see us. We’ll keep your drinks cold until you get here! This entry was posted in Mahahual News, Mahahual Visitors Manual. Bookmark the permalink. 3 Responses to Low Season In Costa Maya, Is Not So Low Anymore! Thanks Brandon, great information but a little bitter/sweet for some of us who are planning to make Mahahual home in the near future. Of course we want all the hotels and good people who depend on the cruisers for their livelihood to have a great low and high season, we wish them the best all year long. But the thought of Mahahual as a bustling Tulum all year long and losing the quiet peaceful fishing village charm we love is bitter/sweet. Maybe the Tulum comparison is not accurate in most regards but the small town life, personal friendships developed over time, no shoes, no shirts, no problems, great meals at reasonable prices and quiet times are very attractive and also the allure of Mahahual. great news of the business up-tic. Thanks for the updates. We will be there in September on Allure of the Seas.